The Taylor 3507 Freezer/Refrigerator thermometer is an ideal solution for keeping an eye on the temperatures being held by refrigeration equipment, including reach-in units as well as walk-in boxes. This unit can be hung on a wire shelf or stood upright on a flat surface thanks to its flat stand. An easy-to-read 21⁄4-inch dial and red pointer make it so that staff can quickly verify temperatures. The dial is printed with color coded temperature zones that indicate the safe range for different types of cold storage. 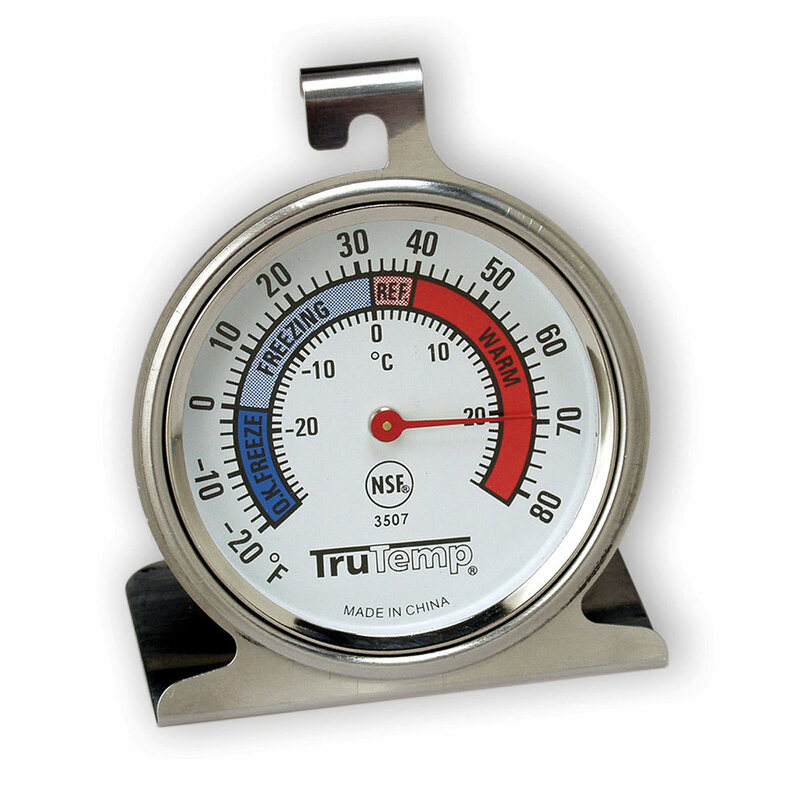 The Taylor 3507 can accurately measure temperatures within the range of -20 to 80 degrees F. This piece has been NSF listed for sanitation and safety, and its stainless steel case keeps it resistant to corrosion in all types of kitchen environments.